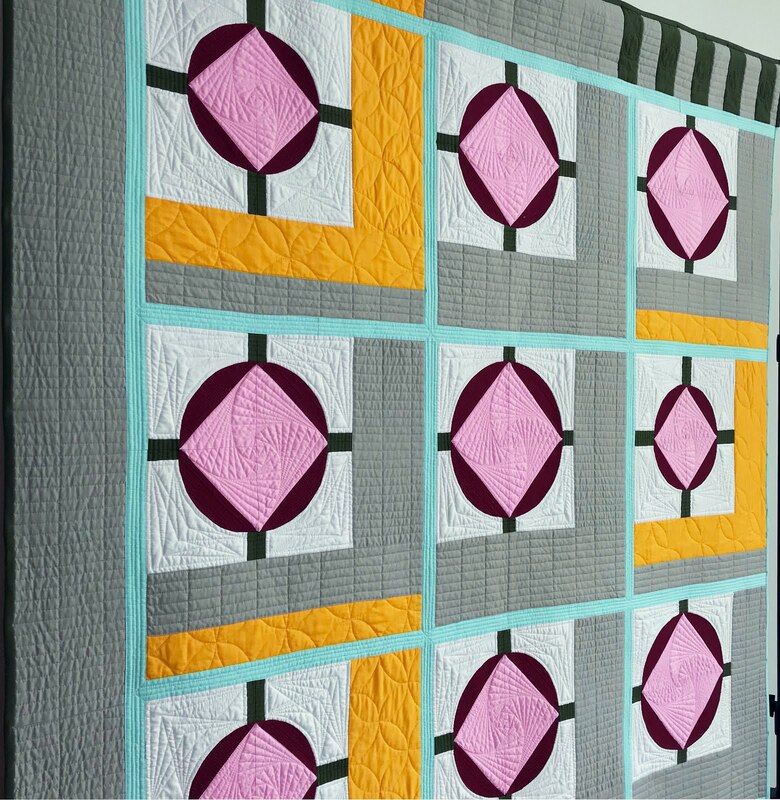 The last time I made a quilt without a deadline was my Balance and Fade quilt in July. It was also the last time I designed and created a quilt for no other purpose than the joy of the process... until now. Here's my Stratagem quilt! 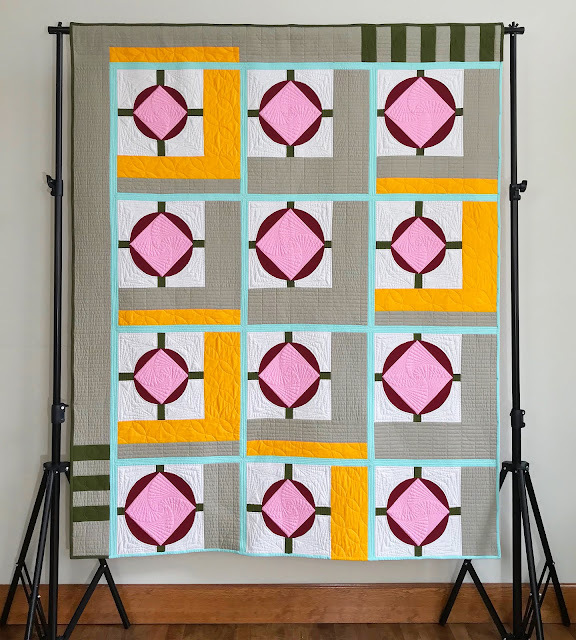 The inspiration for this quilt came from a Parcheesi game board and the first time I saw Parcheesi was on Christmas morning so the timing of this finish couldn't be more perfect. My dad got my sister and I a board game a piece for Christmas one year when we were kids. 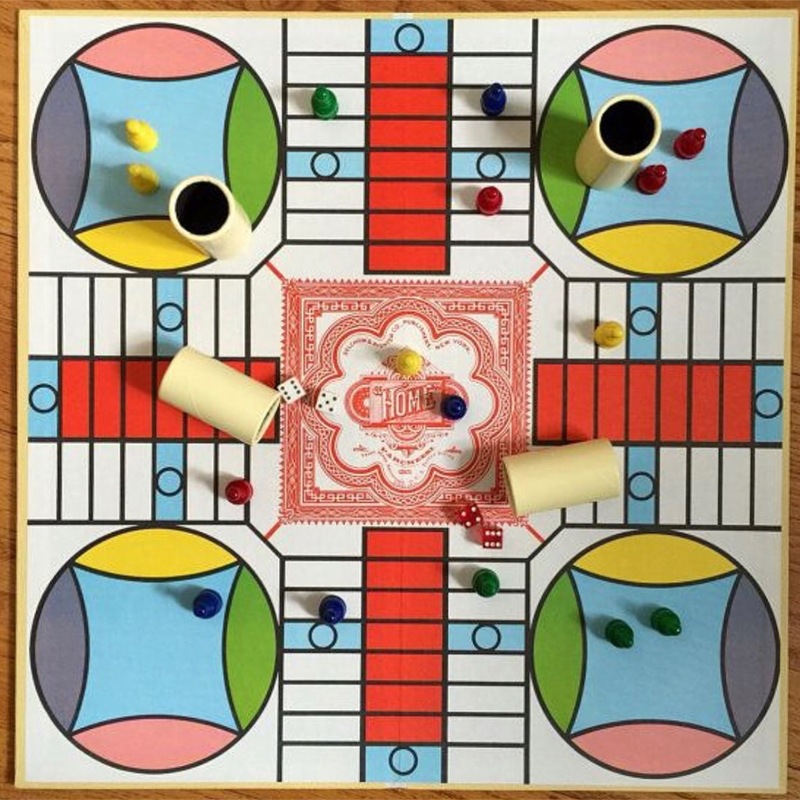 She got Parcheesi and I got Tripoley. 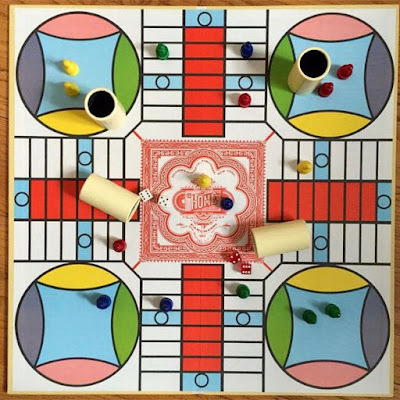 Upon opening the gift I was very unappreciative, teasing my dad for picking such an "uncool" gift but after a bit of persuasion we played Parcheesi and had a blast. We eventually played Tripoley and it was a great too. 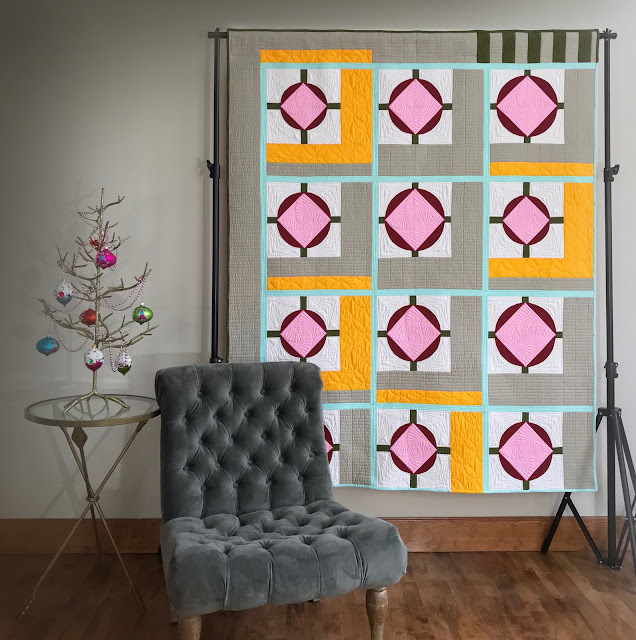 As you can see from the game board above the overall design of the quilt meant only to capture the feel of the Parcheesi board and not be a literal representation but the quilting patterns I chose come directly from the detail on the game board. I even added circles to the middle of the dark green stripes just like the exit and entry squares. 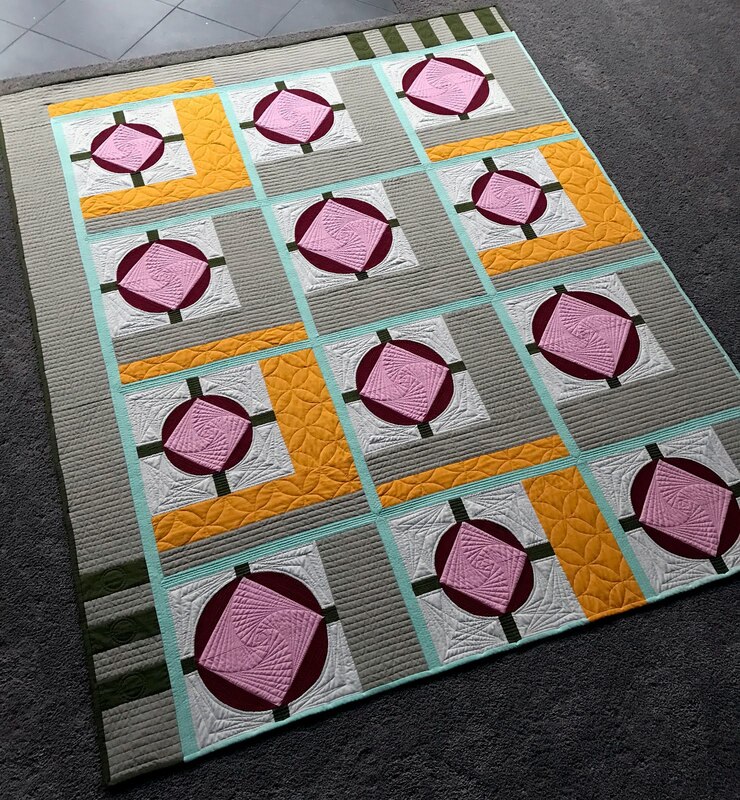 I love this quilt and really enjoyed making it and for once picking a name. I knew I couldn't use "Parcheesi" but I wanted to pick a name that captured the spirit of the game so I chose Stratagem. It took me over two months but I squeezed it in here and there between deadlines and am so happy to finally share it. I have another deadline coming up but for now I have a few days to just play around in my sewing room. 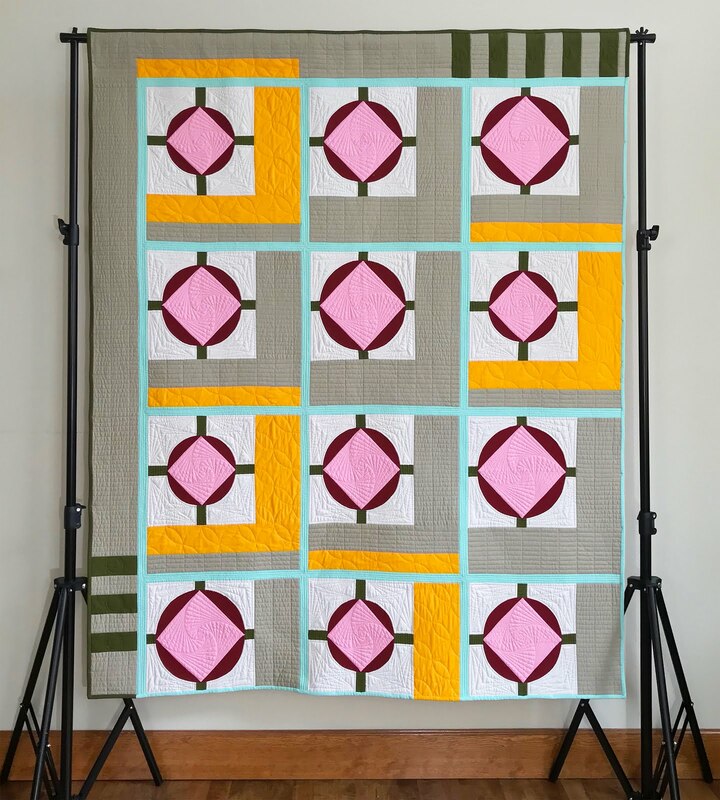 I don't mind deadlines because I love quilting and I love finishing projects so a good deadline gives me an excuse to make time to do what I love! In closing, QuiltCon notifications will be coming out shortly so fingers crossed. 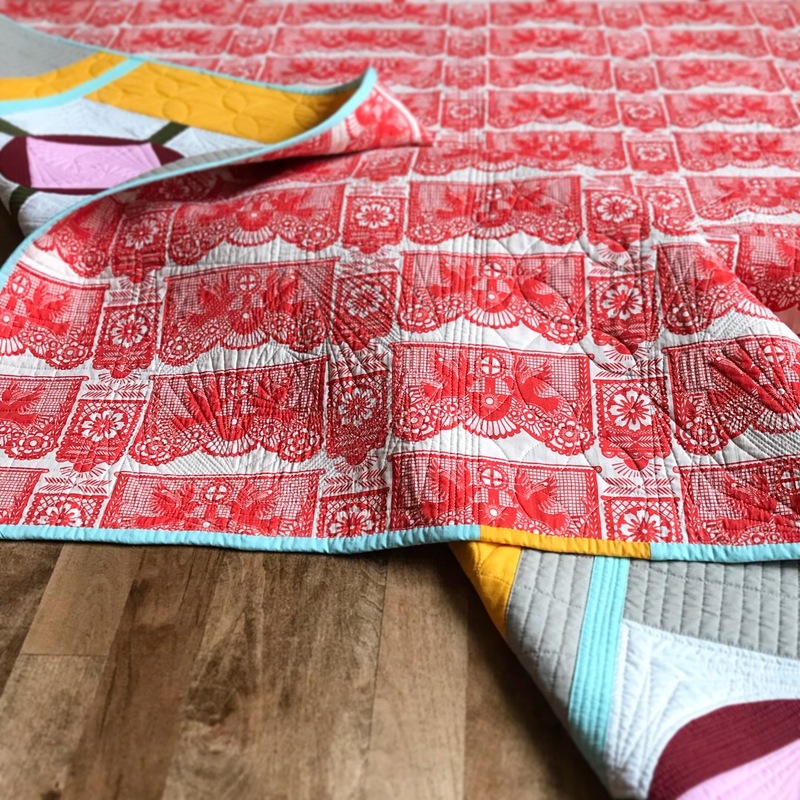 I've seen some of the submissions on social media and the competition is fierce, there are so many talented quilters with amazing modern quilts out there. I can't wait to see all the QuiltCon submissions on Instagram!